Shopping for the best Internet deal is work. But,in the long run,it can save you a whole lot of money (and heartache). Here are some simple tips for finding the best Internet service for your home. Let’s say you just moved into a new apartment or home. You’ve started unpacking your stuff, set up your computers and home entertainment system, and now desperately need Internet service. A quick Google search on your phone pulls up the top service providers in your area, but in your search for good Internet, you run into an overwhelming plethora of plans, promotional deals, and technical jargon that you’re not very familiar with (what on earth is bandwidth throttling?) Or maybe you’re just sick of your current provider. Your service is spotty and always seems to run slowly when you need it to work most. Calling up the customer service line places you in an eternal limbo of muzak. You want better. You deserve better. But where do you start? At Bundle Your Internet, we encounter these scenarios daily. Customers call our consulting service to shop for the best Internet deals available. We’ve compiled a few tips, based on our experiences helping customers around the U.S. get connected, on how to find the best Internet deal for your home. Time for some of that dreaded technical jargon. I know, I know; it makes my eyelids heavy, too, but I promise to make this as painless as possible. 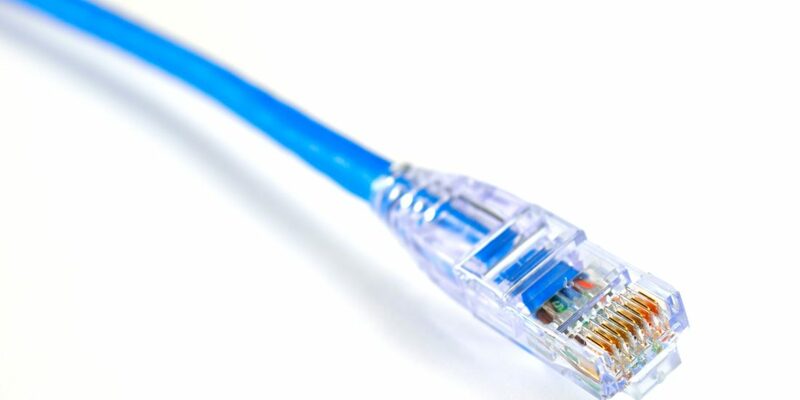 There are two basic connection types: broadband and dial-up (yes, that dial-up). Don’t worry too much about dial-up. Honestly, I didn’t even know dial-up still existed, but apparently it does. For our purposes, we’ll focus on broadband connections, which are the type that are always on and ready to use. The connection type you get will often depend on which services are available in your area, but it’s still good to know the basic differences. As the name implies, cable broadband is transmitted over coaxial cable television wires. Aside from fiber optic, it’s typically the faster of the other broadband connection types (usually over 100 Mbps). It’s important to note that with cable, your bandwidth is shared by other subscribers in your vicinity. This means that when more people are on, your service will be slower. Peak usage times are the worst, manifested as the buffering icon of death. Consider when you will be using the Internet when shopping for cable service. If you like to get online when you get home from work, later in the evening after dinner, then your connection speed will probably suffer. DSL connections are delivered over telephone lines, just like dial-up but faster. Expect around 25 to 50 Mbps download speeds. For now, just know that is perfectly adequate for casual online browsing. Here’s the rub, though: DSL service is distance-based, meaning that the farther away you are from the provider, the slower your Internet. In our business, we are finding that consumers are increasingly shying away from DSL service and opting for cable or fiber optic. Don’t dismiss DSL completely, though. In some cases, depending on where you live and what you are using the Internet for, it may be the best bang for your buck. Fiber optic service is like DSL but faster. It’s delivered over lines made of glass as thin as hair and using light – real cool, sci-fi-type stuff. DSL and cable lines, on the other hand, are copper-based. Fiber is the future of home Internet connection, or at least a major part of that future. Advertised speeds range from 500 to 940 Mbps. When we say that fiber is the future, we specifically mean that fiber is geared to handle future broadband speed advancements. If in 30 years, broadband speeds get to be, say, 100 Gbps, then fiber optic lines could still handle it. We’re talking about the speed of light here, or close to it! Verizon and Google are the big names in this market, but availability is limited based on where you live. If you can get fiber optic service where you live, get it. ASAP. This type of service is delivered via, you guessed it, satellites. It’s typically much slower than the other forms of broadband, coming in at about an average of 25 Mbps. If you live in a rural area, this is sometimes your only option. Satellites can reach where cable and phone lines cannot. Viasat and HughesNet are the big names in this department. We view satellite Internet as a matter of necessity, not of choice. The good news is that companies like Viasat are taking big strides to improve the technology. Top advertised speed is 100 Mbps. This is a relatively new type of broadband connection that often gets confused with satellite. However, there are some key differences. Rather than being delivered via satellite, this service is transmitted via radio waves from a tower access point on the ground. Think of this service type as an alternative to satellite Internet. With satellite service, consumers sometimes experience a lag, called latency. The signal must travel thousands of miles across space to reach your home. This is not the case with fixed wireless connections, which occur entirely down here on our lovely blue planet. Rural satellite Internet customers should seriously consider this option as an alternative. Now that you understand the basic options for Internet service, you can start looking into which providers service your area. This is typically done by zip code. Meta engine sites like ours allow you to search your area for available providers and compare packages. Step one is figuring out what your options are. It’s worth researching all your options and not just going with the biggest name brand in the market. People want the cheapest Internet they can find. We hear it on the phones all the time. Give me your cheapest, they say. But, the cheapest plan isn’t always the best. Still, there are a couple of pointers for getting the best deals out there. The first, and perhaps most obvious, tip is to take advantage of the promotional offers out there. Often, a provider will hike up your rates after the first year or two. Take advantage of that promotional rate and be prepared to negotiate with your provider once that first year term is up. Negotiating with your ISP could be the topic of a whole other article. The other tip is to bundle your services when it makes sense for you. If you find yourself paying separate bills for your Internet, cable TV, and home phone services, you might want to look into bundling as a way to save money. Often, the à la carte rates for these services are higher than the bundled rates. Shopping for the best Internet deal is work. I won’t lie. Although, (please forgive a shameless plug) our service helps eliminate some of that legwork. It’s worth the effort, though. Think of how many people are overpaying for Internet service. Perhaps you’re one of them. Think of how many people are stuck in contracts that they regret. Perhaps that’s you, too. Save yourself the headache and do your homework ahead of time (or talk to one of our agents and let us do it for you). You won’t regret it. Happy shopping!